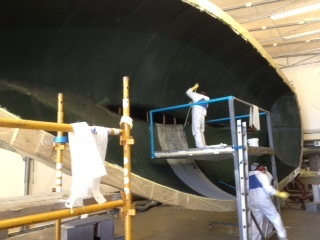 Our first view of our boat was the fiberglass of the hull was being laid down with rollers, the mould is turned through 180 degrees as each layer of fiberglass mat and resin is applied. 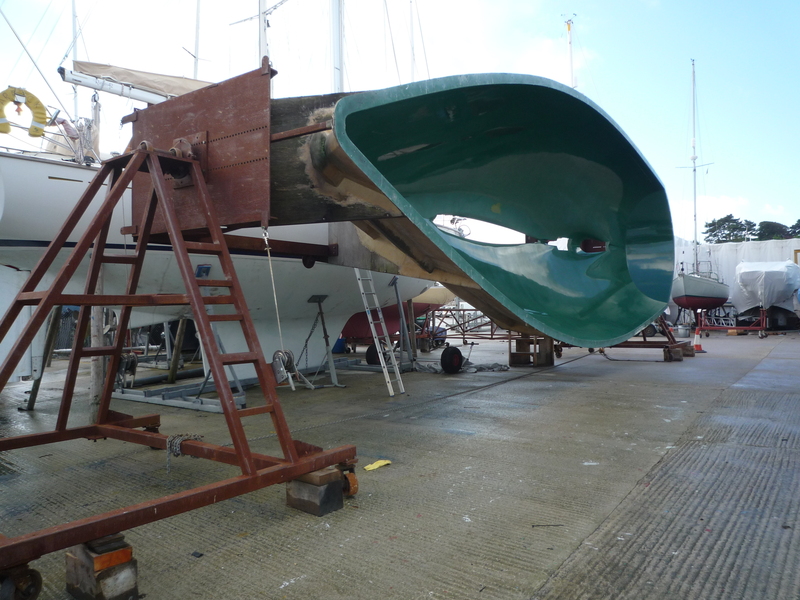 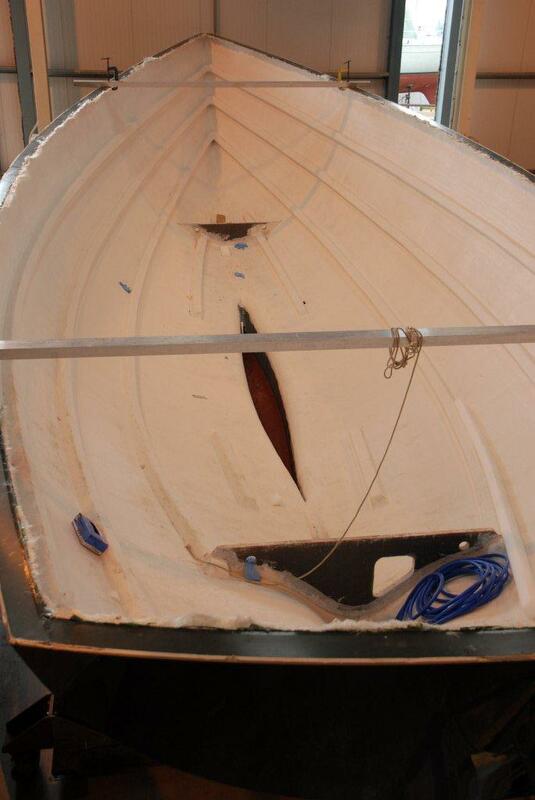 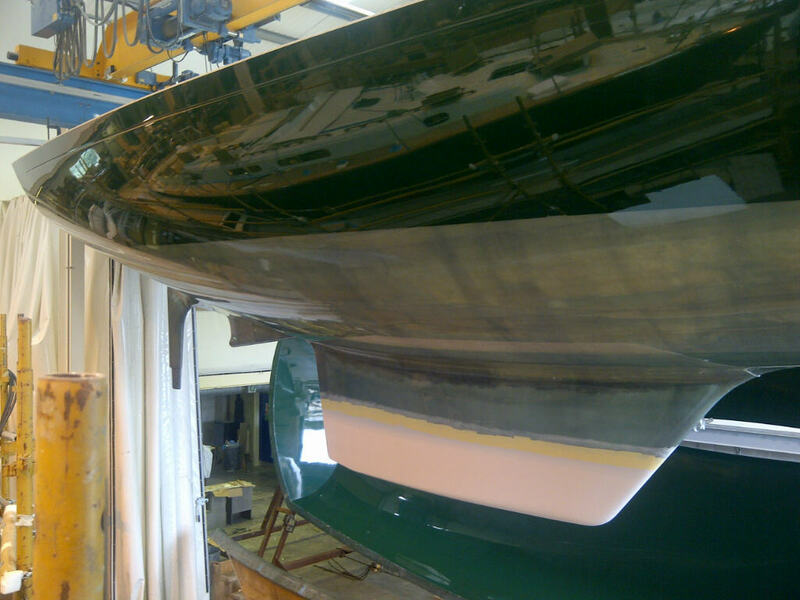 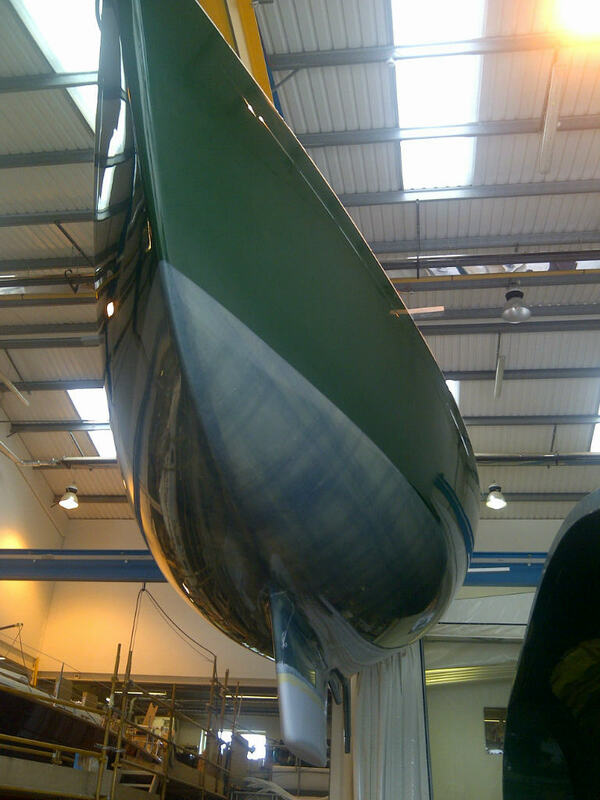 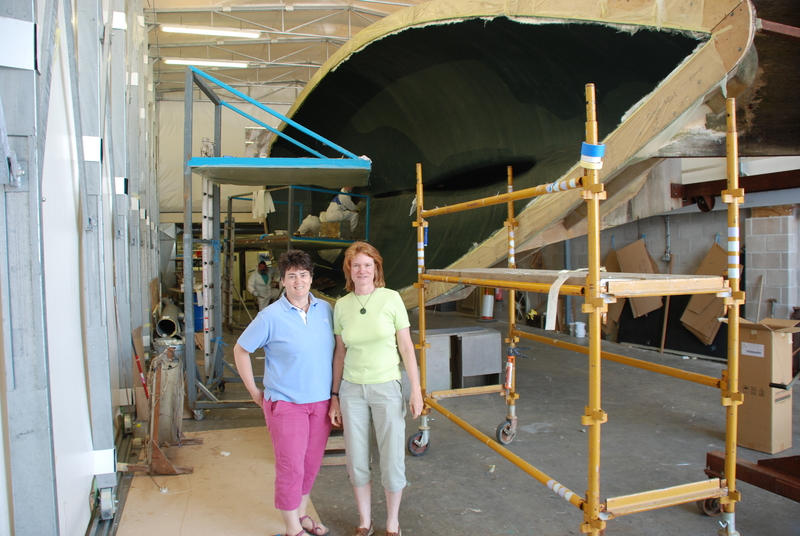 The keel has gone in today – it is a lead encapsulated keel. 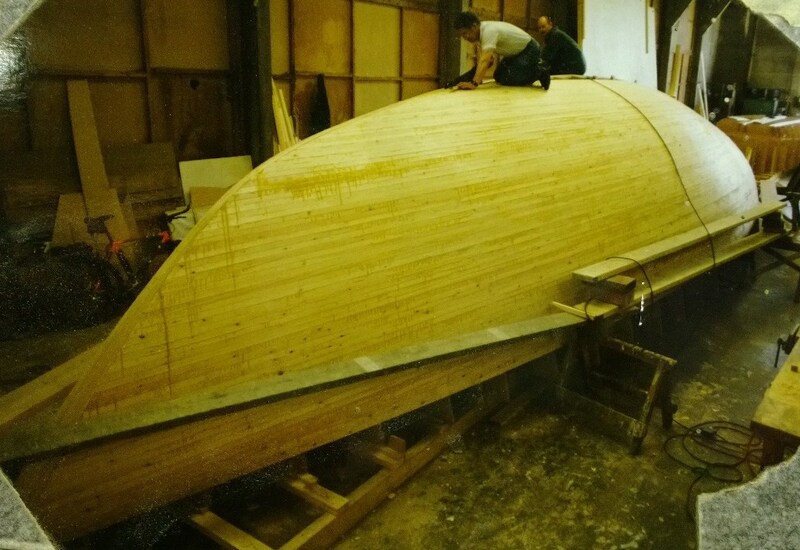 The solid keel is lowered into the keel housing like a hand being dropped in to glove.